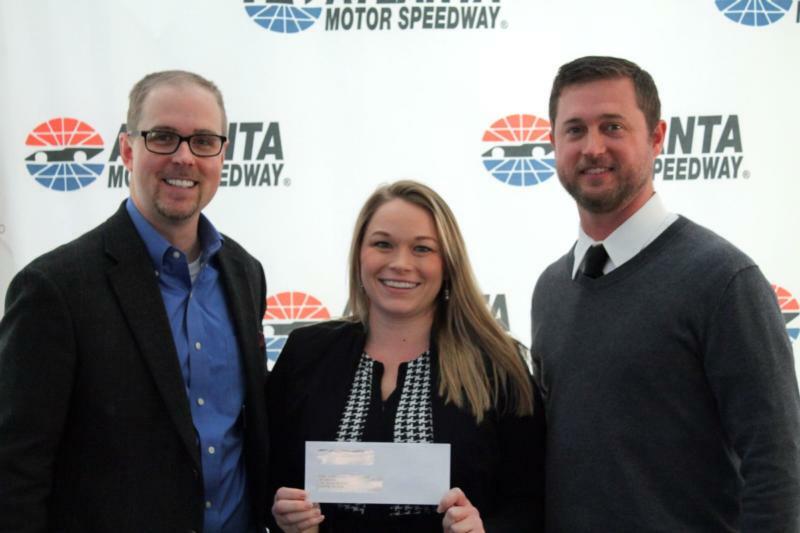 The Atlanta chapter of Speedway Children's Charities distributed $94,261 in grants to 35 metro Atlanta non-profit organizations during a ceremony at Atlanta Motor Speedway Thursday. The grants have been made possible thanks to individual donations collected at various events throughout the year. "Contributing to local organizations that provide substantial and lasting assistance to children in need is a point of pride for us," SCC Atlanta Board of Directors Chairman Trea Pipkin said. "We would like to thank our dedicated supporters, corporate partners, and volunteers whose efforts throughout the year have made these contributions possible." Since its founding in 1994, Speedway Children's Charities Atlanta has granted more than $4 million to local children's causes in metro Atlanta. With local chapters at each of Speedway Motorsports, Inc.'s eight premier NASCAR facilities, Speedway Children's Charities raises grant money through local fundraisers including golf tournaments, track events, barbeque cook-offs, auctions for unique race experiences like driver ride-alongs, nightly event promotions and much more. For more information on Speedway Children's Charities or to learn how to volunteer or make a donation to your local chapter, visit www.speedwaycharities.org. The mission of Speedway Children's Charities remains true to the ideals it was founded upon in 1982: To care for children in educational, financial, social and medical need in order to help them lead productive lives. SCC provides funding for hundreds of nonprofit organizations throughout the nation that meet the direct needs of children. Our vision is that every child has the same opportunities no matter what obstacle they are facing.